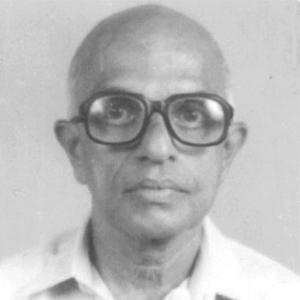 An MSc in Chemistry, Master & HOD (Chemistry) from 14.02.1962 to 22.10.1989 at Sainik School Kazhakootam. Founder Master, Master-in-charge and Treasurer of the SSKZM OBA from 1969 to 1989. Worked for 2 years as Quality Control Chemist with FACT, 8 years as Lecturer in NSS College Changanassery and 3 years as Assistant Scientific Officer in the Ministry of Scientific Research and Cultural Affairs, before joining SSKZM. Children : R No: 1159 B. Pradeep Nair. Settled down after retirement, with his son at Bangalore. Passed away on 29 November 2016.